Muscat, December 8th 2018: The renowned French yachtsman Franck Cammas has joined the Oman Sail team to manage their ongoing Diam and new Figaro campaigns next year. 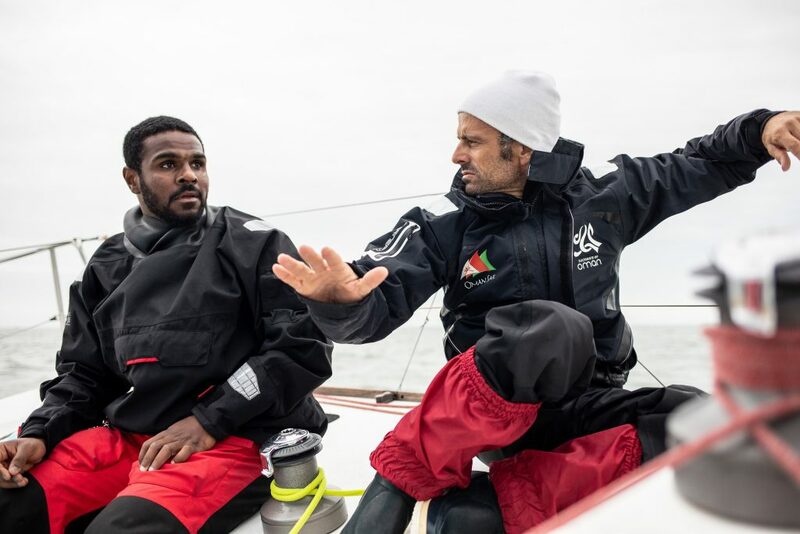 Cammas will also join the race squads during the 2019 season as Oman Sail looks to build on its successful global sailing programme. Regarded as one of the highest-profile sailors of his generation, Cammas, 45, has a glowing racing CV which includes victories in the Volvo Ocean Race, Tour de France a la Voile, Transat Jacques Vabre, Route du Rhum and Solitaire du Figaro, as well as six Orma multihull championships, many supported by the French company Groupama. He will co-ordinate Oman Sail’s activities in France through his company Franck Cammas Racing and skipper a Diam 24 during the season. “Oman Sail has great vision and potential, so it was an easy and natural decision for me to become involved,” said Cammas. Oman Sail’s 2019 programme will prove a good fit for his experience and expertise as it includes both Diam 24 multihull and Figaro campaigns. 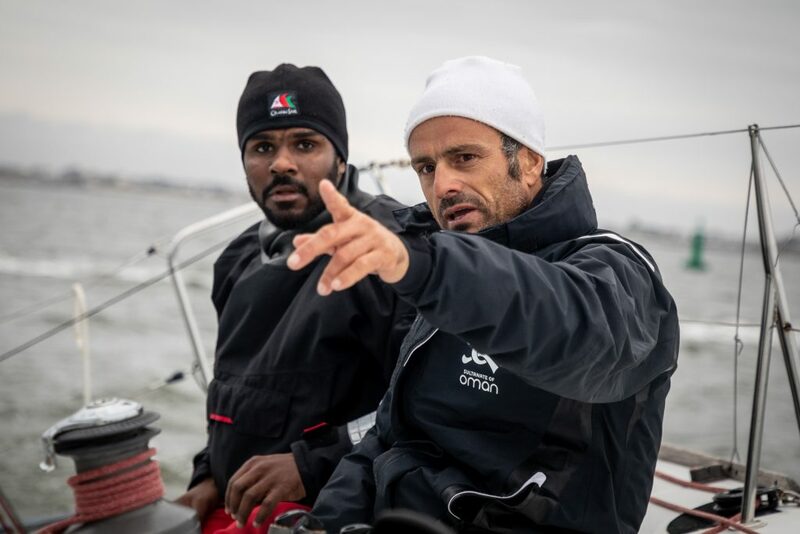 Cammas will join regular members of the Oman Sail team, including Ali Al Balushi and Hussein Al Jabri among others, on the Diam project which will feature three campaigns – one an all-female team – culminating in the Tour Voile next July. Racing for the Diam teams kicks-off in February with EFG Sailing Arabia – The Tour in Oman, which will include a fourth all-Omani squad. Meanwhile two new Figaro campaigns have the goal of continuing the all-round offshore development of Omani sailors with Ali Al Balushi, Sami Al Shukaili and Mohammed Al Mujaini all part of an ongoing selection process. The projects will start as double-handed and eventually, when the Omani sailors are considered ready, will evolve to singlehanded with the long-term aim of participation in a major offshore race. Oman Sail CEO David Graham said: “Having Franck join us at Oman Sail is a great moment and one that I believe will produce real benefits for our sailors, and help us achieve our goals. Oman Sail has recently been able to celebrate winning the inaugural World Diam Tour title, and finishing a competitive runner-up in the global Extreme Sailing Series, in which Oman Sail teams share top spot as the most successful in the competition. The ongoing improvement of young Omani sailors from Oman Sail’s four schools and youth squad was also recognised this year when Oman was awarded a place at the Youth Olympic Games in Buenos Aires, a significant step towards the long-term ambition of qualifying for the Olympic sailing event. Oman Sail has also competed offshore in the Class 40 fleet this year, and still holds the outright Round Britain and Ireland Race record set in 2014 by the 70-foot Musandam-Oman Sail trimaran.